There are several different types of air purifier available ranging from air filters to electrical ionizers. The Vax range of air purifiers uses filter technology; basically, air is drawn into the unit, passes through a filter that traps particles and cleaner air is expelled back into the room. Vax purifiers use HEPA (High-efficiency particulate arrestance) filter technology along with a carbon filter for odour removal. These efficient filters (when combined) trap dust and pollen as well as smoke and other odours. 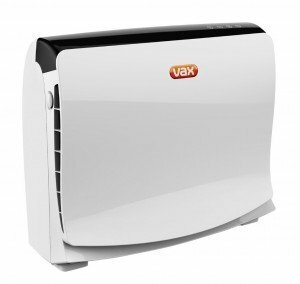 The Vax range is quite straightforward with near identical looking models with the only real difference being the size of the air purifier and the corresponding room size it can be used in. There are 3 models in the Vax air purifier range and all models are available in black or white. 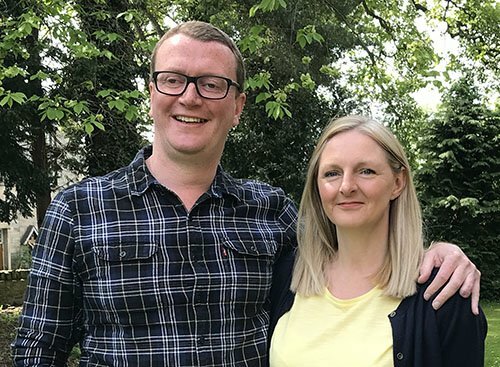 Below you will find a comparison of each model and the standard features on the Vax range, as well as our Vax air purifier review, plus recommendations on alternative HEPA air purifier models. Anything wrong with these air purifiers? The control panel on the Vax purifiers is very simple with 2 lights and 4 buttons. The lights indicate if either the main filter or odour filter needs replacing. The touch sensitive buttons are for power, filter light reset and speed and timer settings. Three different fan speeds can be selected: low, medium and high speeds. This allows you to choose between a greater extraction rate and noise levels (for example, you can choose the low speed setting if you are using the air purifier at night in a bedroom). You can set the timer for 2, 4 or 8 hours running. This feature can not only help save on electricity usage but also is useful if using during the night and you want the machine to shut off after a few hours. The replacement filters are very easy to install. Simply lay the unit flat and press the release buttons on either side of the unit. The filters can then be accessed and replaced relatively easily. Vax recommends that the main HEPA filter is changed every 6 months and the odour filter every 3 months. All Vax air purifiers can be used without the odour filter in place. One of the criticisms of these Vax air purifiers is the noise levels and this can be a problem for most filter air purifiers. The noise generated is similar to an air conditioning unit and may become an annoyance if used in a main living area or at night in a bedroom. One solution is to run the air purifier on it’s lowest speed setting and set the timer for 2 hours. Another common negative for filter air purifiers is the cost of the replacement filters. Even though Vax recommends that the HEPA and odour filters are replaced at 3 and 6 months, you have to buy the filters as a complete kit. Depending on the model you choose, the Vax HEPA filter & odour filter kit replacement is around £25 to £30. The other thing to consider is the price. The smallest Vax AP01/AP04 is around £80-£100 but this only covers a small (10m2) room area. The bigger models then become quite expensive at £150 for the Vax AP02/AP05 and around £220 for the larger AP03/AP06 models. Vax is an established brand in home appliances, particularly in vacuum and carpet cleaners. Their range of air purifiers are well designed and have all the features you’ll most likely need. For us though, the Vax air purifier range can only achieve a “4 out of 5 star” rating due to the complaints about noise and the price of the larger models. This filter air purifier is priced lower than the Vax AP02/AP05 at around £120 and is suitable for the same 20m2 room size. The EH0312 also features a HEPA filter and a charcoal filter for removing odours, plus there is also an optional fresh scent cartridge. This air purifier also features a built in ionizer which helps trap pollen, dust and smoke particles more easily. Similar to the Vax models, the EH0312 has three speed levels and an auto shut-off timer with 2, 4 and 8 hour intervals. The particular Prem-I-Air model also has a remote control that includes power, speed and timer functions; we can see this being of limited use apart from if the air purifier is used in a bedroom. Again, this unit can be noisy on higher speed settings but seems to be more than acceptable at lower speeds. It also gets fewer complaints about noise than the equivalent Vax model. This air purifier is smaller and, in our opinion, does not look as good as the Vax models. It is, however, cheaper and includes more features. The Homedics AR-10A is comparable to the Vax AP01/AP04 models and is suitable for smaller rooms of 10m2. 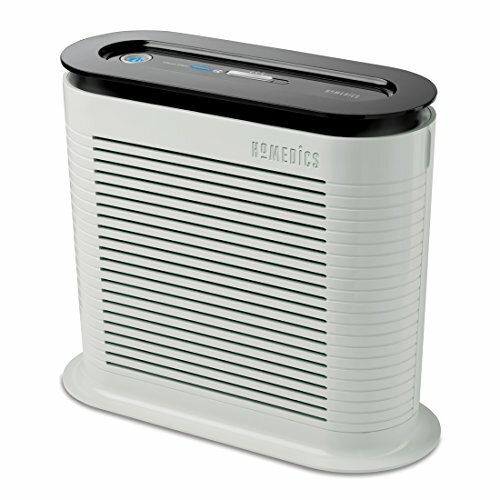 Price wise, the Homedics air purifier is slightly cheaper than the equivalent Vax model. This model only includes a HEPA filter (rather than HEPA plus charcoal filter) but the filter can be vacuumed which can save you money on replacement filters. This is a fairly basic unit with the control panel including the power button, a “clean filter” indicator and a sliding switch to select one of the three speeds. There is no timer function on this model. As with most air purifiers, this unit’s noise is noticeable at high speeds but user complaints are low regarding noise levels for this model. 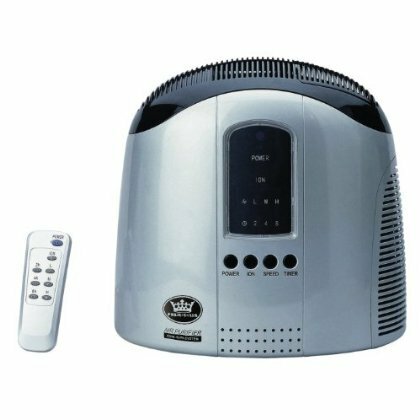 This is a popular and high rated unit and we particularly like the fact that the HEPA filter can be cleaned and re-used, however, the Homedics AR-10A could really benefit from a timer function, which the similar priced Vax AP01 includes. The Fellowes DX95 air purifier is suitable for a similar room size as the larger Vax AP03/AP06 models. However, the DX95 is around £30 cheaper than the equivalent Vax model. Both models feature HEPA and carbon filters but the Fellowes purifier has some nice extra features. The first is the “Aera+” mode that increases airflow by as much as 35% and is great if a high number of allergens are present in the air. The second feature is “AeraSmart” which is a sensor that automatically detects the air quality passing through the units and adjusts the fan speed accordingly (and signals a red or amber alert on the display panel). This model also includes a built-in ionizer unit plus anti-microbial treatment to prevent the build-up of mould and odours on the HEPA filter. 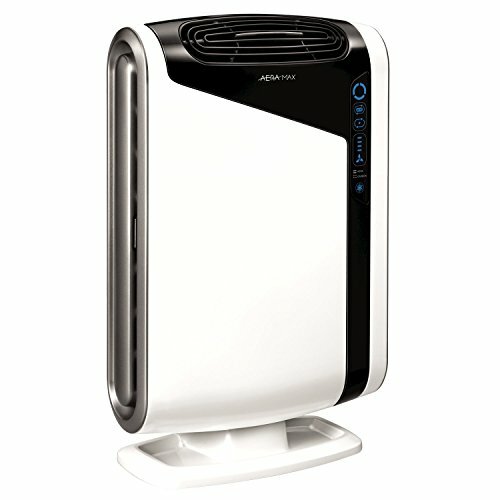 The DX95 air purifier has 4 fan speed settings but no timer function. This is a good looking unit and we particularly like the blue function indicator lights built into the black control panel. When it comes to noise, very few users comment that this is an issue. Filters are expensive though, the HEPA one costs around £35 but should only need replacing every 12 months according to Fellowes. Fellowes have clearly paid attention to air purification features that matter and the DX95 is of a very high spec. The fact that it is often lower priced than the Vax AP03 clearly makes this a “best buy” in our opinion. What’s the difference between an air purifier and dehumidifier?